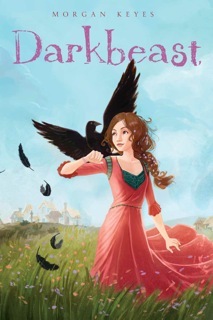 Today we welcome my good friend Morgan Keyes, who has just published a brand new middle grade fantasy, Darkbeast (Simon & Schuster). Morgan also writes as Mindy Klasky, and in that guise she is not only a colleague of mine over at SFNovelists, she is also a regular contributor to the Magical Words blog site. 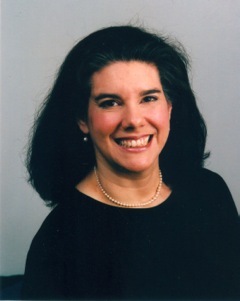 She is witty, incredibly knowledgeable about our genre and the publishing business in general, and a wonderful writer. Without further ado, here’s Morgan!! Many thanks to David, for allowing me to visit here and tell you about my middle grade fantasy novel. In Darkbeast, twelve-year-old Keara runs away from home rather than sacrifice Caw, the raven darkbeast that she has been bound to magically all her life. Pursued by Inquisitors who would punish her for heresy, Keara joins a performing troupe of Travelers and tries to find a safe haven for herself and her companion. Some authors have it easy. They set their stories in real cities, taking advantage of real maps and readers’ familiarity with real landmarks. Think, for example, of the wildly successful The Girl with the Dragon Tattoo. A reader could navigate from the titular girl’s apartment to virtually any other setting in the book, simply by following Stieg Larsson’s detailed prose. Some authors have it hard. They set their stories in real cities, but in times past. (Yes, D.B. Jackson, I’m looking at you, and at Thieftaker!) These authors need to learn the actual map, as it existed in the time of their tale. That alone can be a struggle – tracking down appropriate resources, reconciling conflicting data. And woe to the author who has his characters walk streets that have changed their courses, or travel to landmarks that have burned and been rebuilt elsewhere. Readers will helpfully offer endless “corrections” despite the actual accuracy of the story as written. And then there are authors, like me, who can draw on actual history, but take liberties. In writing Darkbeast, I created a secondary world, one that is not directly identical to anything in our actual historical past. Nevertheless, I populated my world with people who were similar – in some ways – to actual people who lived in actual historical cultures. Alas, I don’t have any experience as a city planner. For tiny villages, my ignorance was immaterial. For larger towns, though, I needed help. I needed maps of similar towns, located in similar geographic settings. And so I came to study maps of Venice (with its waterways and bridges). I also studied Rome (with its hills and multiple temples). I tossed in a couple of surveys of Avignon, (with its massive Palace of the Popes, dominating an otherwise rather unremarkable medieval town). My goal was not to create a factually correct map; no one is going to travel to Duodecia and use Darkbeast as a guidebook. My goal was not even the more challenging one of presenting historical fact for modern readers, similar to Thieftaker. Rather, my goal was to create a world that feels right, that seems accurate, even if no one can ever set foot there. To that end, I could trace the path from the Doge’s Palace to the Bridge of Sighs, bulking up the palace into a “papal” bulwark, turning the bridge itself into a godhouse with specific attributes. In the end, my readers will likely never know the specific paths I’ve traced. But I know them, and they help me to keep the story straight in my head. They help to make the world more real. What are the most realistic secondary worlds you’ve encountered in fantasy fiction? And what makes them feel “real” to you? The basic point of the post is the we can’t control the timing of ideas — they come to us when they want to. But we can adopt strategies that allow us to make the most of them, even if we’re in the middle of another project when the shiny new ideas show up. Summer Blog Tour Continues with a Book Giveaway! The Summer 2012 Thieftaker Blog Tour takes me today to Fantasy Literature, where I am interviewed by Bill Capossere. The interview covers a broad range of topics, from research to pseudonyms to magic systems. Fantasy Literature recently reviewed THIEFTAKER (with Bill writing the review) and so you can also find that review at the site. And finally, as with all good stops on the Blog Tour, this one includes a book giveaway! So visit the site, read the interview and leave a comment! Maybe you’ll win a copy of the book! THIEFTAKER Book Signing in Nashville This Saturday! So, I have another signing this weekend — the THIEFTAKER Summer 2012 Signing Tour resumes with an event at the Barnes and Noble at Vanderbilt University, in Nashville, Tennessee. I’ll be signing on Saturday at 2:00 pm, and I hope to see many of you there. Signings are strange. They can be utterly exhilarating. I’ve had a few that sent so well, that saw me sell and sign so many books, that I really wanted them to go on and on and on. I was fortunate enough to have several very successful signings in July, as my travels took me to Albany and Storrs, Somerville and Claymont, Rock Hill, Columbia, and Charlotte. We writers don’t get to interact with readers and potential readers nearly as much as most of us would like. Signings give us a unique opportunity to meet the people who buy our books. Even more important, they allow us to interact with the people who sell our books — the bookstore managers and staff. The folks who work in bookstores are almost always there because they love to read, they love to turn other people onto the books that they have enjoyed, and they enjoy meeting authors. We enjoy meeting them every bit as much. Now, I’ve also had people come up to me, look at my books and tell me, very politely, that they don’t read fantasy. That’s fine. I would never force someone to buy a book they didn’t want, and I am very happy to talk to people about books and about writing, even if they have no interest in ultimately purchasing my novel. I prefer that — by a long shot — to having people avoid me entirely. So, if you see me at the store, come by and say hello. If you want to buy a book, great. If not, that’s fine, too. But there really is no need to run away.